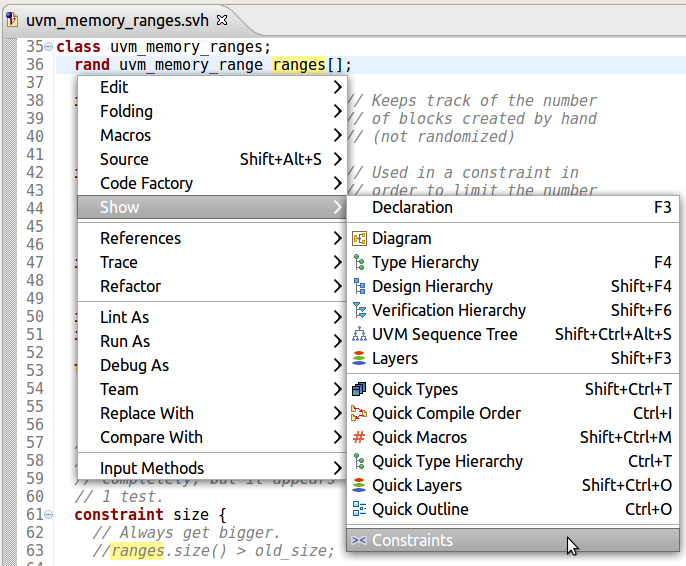 To see where a variable is constrained, right click on it's name > Show > Constraints. Tip: For rand or randc class variables you can also hold down the Ctrl key while hovering the name of the variable with the mouse cursor, and pick Show Constraints from the pop-up list. Tip: You can also trigger this functionality from a view's context menu, for example from the Types View or Type Hierarchy View.